James Murray is a young man with a dream: he wants to be a writer just like his idol, Dashiell Hammett. At the end of one typical day at work at the department store, there's a scream. Young clerk James Murray rushes toward the sound and finds his best friend -- co-worker Elizabeth "Bess" Flowers -- apparently shot and lying dead in the Better Furniture department. He finds a note in her purse telling her to be in front of the Orpheum Theater at 5:30 "or else." He looks at his watch: it's nearly that time now. Was she shot by a person she refused to meet? Or by someone who wanted to make sure she didn't make the meeting? James decides to keep the date in front of the theater where, with the help of his good friend, screen-star Charles "Buddy" Rogers, he begins a whirlwind ride through the crepuscular depths of downtown Los Angeles, trying to solve Elizabeth's murder. 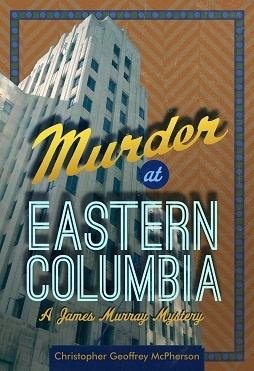 But Murder at Eastern Columbia is not like any book you've ever read. Not a single novel, it's two parallel novels, featuring two heroes, working two murders in two different versions of 1930s Los Angeles. Join James and his alter ego as they each try to solve the murder of the girl with sorrel-colored hair. His hard-boiled alter ego -- neither a private detective nor a police officer: just someone "who wants to help" -- needs to find out who's trying to pin the murder on him, but finds himself in a jam: "Yeh. Strawberry preserves. All the way up to my neck." Two men in two stories work their way through downtown Los Angeles following clews, interviewing people who might know something, going from location to location, with one goal in mind: find out who might have wanted the girl dead. Along the way you'll meet a rich cast of characters including the notorious gangster, a gorgeous raven-haired dame, the beautiful young boy whose love is his undoing, a young doctor whose specialty is cancer research, the cleaning lady with a secret addiction, the struggling piano player who just wants to keep his nose clean, the gum-popping pawn-shop clerk and the sultry Chinese apartment manager who tries to hide behind the mysteries of the Orient. Murder at Eastern Columbia is filled with twists, turns and a climactic scene along the dizzying heights of the observation deck atop the brand new Los Angeles City Hall. Come along for the ride in this James Murray mystery: the story of a young guy, a kid really, who dreams of something better. While working as a clerk at a swank downtown department store, James Murray pens a novel that turns out to be a surprise success. Now, he’s the junior screenwriter at a major Hollywood studio. During his time there, productions at the studio have been plagued by a series of mysterious accidents including fires, damage to costumes, theft of miniatures used for trick shots -- and the worst: theft of an important scene from the studio’s big picture, King Kong. Not wanting to attract too much attention by calling the police, head of production Merian C. Cooper enlists James’s help in trying to find out what’s behind the sabotage. 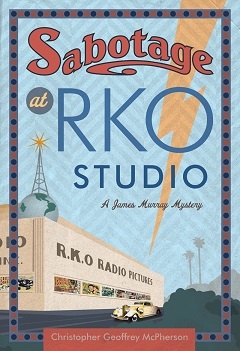 Sabotage at RKO Studio, and its predecessor Murder at Eastern Columbia, are unlike any other books you've read: Not a single novel, it's two parallel novels, featuring two heroes, working two mysteries in two different versions of 1930s Hollywood. Join James and his alter ego as they each try to find the saboteurs behind the “accidents.” His hard-boiled alter ego -- neither a private detective nor a police officer: just someone "who wants to help" -- needs to find out who's trying to pin the “accidents” on him. Two men in two stories work their way through 1930s Hollywood following clews, interviewing people who might know something, going from location to location, with one goal in mind: find out who might want to damage the studio. Sabotage at RKO Studio is filled with twists, turns and a final scene at a glamorous Hollywood movie premiere at Grauman’s Chinese Theatre. James Murray pens his first novel while working as a clerk at a swank downtown department store. He writes his second while working at a famous movie studio turning his first novel into a screenplay. Now, moderately successful, James is hard at work creating his newest adventure. And his life is perfect -- or nearly so: he’s living with the girl he loves, planning to get married, and enjoying a life he once could only dream about. But an innocent outing to Los Angeles’s new Griffith Observatory changes all that when a commotion during a presentation leads to a kidnapping. James, witness to the abduction, feels compelled to find out the truth behind it. Why was this person kidnapped? Who was behind it? Why were the abductors speaking in German? And what does Gina Corvi have to do with it? 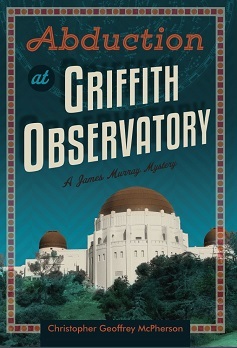 Abduction at Griffith Observatory -- like its predecessors Sabotage at RKO Studio and Murder at Eastern Columbia -- is unlike any other book you've read: Not a single novel, it's two parallel novels, featuring two heroes, working two mysteries in two different versions of 1930s Los Angeles. Join James and his alter ego as they each try to find the missing person. His hard-boiled alter ego -- neither a private detective nor a police officer: just someone "who wants to help" -- needs to find out why his life is being threatened because of a piece of paper with some numbers on it. Two men in two stories work their way through 1930s Los Angeles following clews, interviewing people who might know something, going from location to location, with one goal in mind: find the person who was kidnapped. Along the way, they encounter a rich cast of characters including a hate-filled landlady who doesn’t like anyone different than she, the nervous director of the observatory, the mysterious black woman who was exiled from the country of her birth, the young page working at the observatory, a gentle cleaning woman who has suffered since the death of her husband, the scientist with a deadly secret, and the girl in the blue pumps who tries to hide the scar on her face like she tries to hide so many other things about herself. Abduction at Griffith Observatory is filled with twists, turns and a final showdown aboard a rusty old freighter moored to a dock at San Pedro harbor. Come along for the ride in this, the third James Murray mystery: the story of a young man who dreams of something better. Get The James Murray Mysteries: The First Three Novels exclusively at Amazon! And now the fourth, and perhaps most dangerous adventure, brings him perilously close to someone who is blackmailing baseball players, threatening to take their money and expose their secrets. 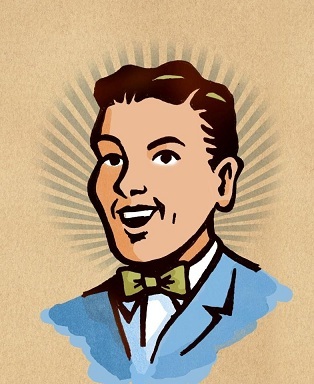 But James has other troubles: he’s not done very well since his girlfriend left him to pursue her own career. He’s fallen on difficult times and fallen hard. Can he help himself as he tries to help his new friends discover the identity of the blackmailers? 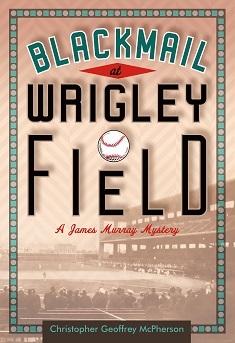 Blackmail at Wrigley Field -- like its predecessors Abduction at Griffith Observatory, Sabotage at RKO Studio and Murder at Eastern Columbia -- is unlike any other book you've read: Not a single novel, it's two parallel novels, featuring two heroes, working two mysteries in two different versions of 1930s Los Angeles. Join James and his alter ego as they each try to find the person behind the blackmail. His hard-boiled alter ego -- neither a private detective nor a police officer: just someone "who wants to help" -- needs to find out why ballplayers keep getting threatened and who might be behind it all. Along the way, they encounter a rich cast of characters including a handsome young baseball player who’s been leading a secret life, a girl reporter with her own agenda, a hardworking man from China who lost his family in the influenza epidemic, a young deacon, a man with a drinking problem who might have the answer, a mysterious girl from Italy who harbors a tragic secret, an unsavory gangster with whom they have crossed paths before, and the beautiful girl who works at a boarding house who might be the one they’re looking for. Blackmail at Wrigley Field is filled with twists and turns, leading to a final showdown in a spectacular mansion high above the city in the Hollywood Hills. 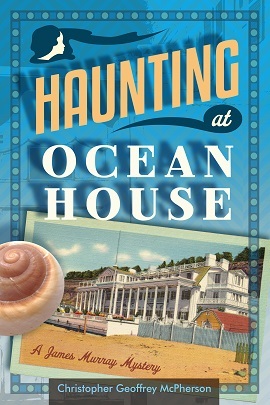 Haunting at Ocean House -- like its predecessors Blackmail at Wrigley Field, Abduction at Griffith Observatory, Sabotage at RKO Studio and Murder at Eastern Columbia -- is unlike any other book you've read: Not a single novel, it's two parallel novels, featuring two heroes, working two mysteries in two different versions of 1930s Los Angeles. Join James and his alter ego as they each try to discover who’s behind the mysterious séances. His hard-boiled alter ego -- neither a private detective nor a police officer: just someone "who wants to help" -- needs to find out whether it’s really a ghost or just someone playing an elaborate and dangerous hoax. In addition, this final novel is filled with countless Southern California locations including a lavish Santa Monica beach house, the newly opened Los Angeles Union Station and its Fred Harvey Cocktail Lounge, the famous pet hospital of Dr. Eugene Jones, the Hollywood Park Racetrack, Biltmore Hotel, Clover Field airfield, the S.S. Rex gambling ship, Mary Pickford’s Wilshire Links and the notorious San Simeon castle. Haunting at Ocean House is filled with twists and turns leading to a dramatic climax inside the city’s most popular dance spot: The Palomar Ballroom. Get The Complete James Murray Mysteries: All Five Novels exclusively at Amazon! Get The James Murray Mysteries Companion exclusively at Amazon!